Pani Puri: a re-interpretation of one of India’s most famous street foods. 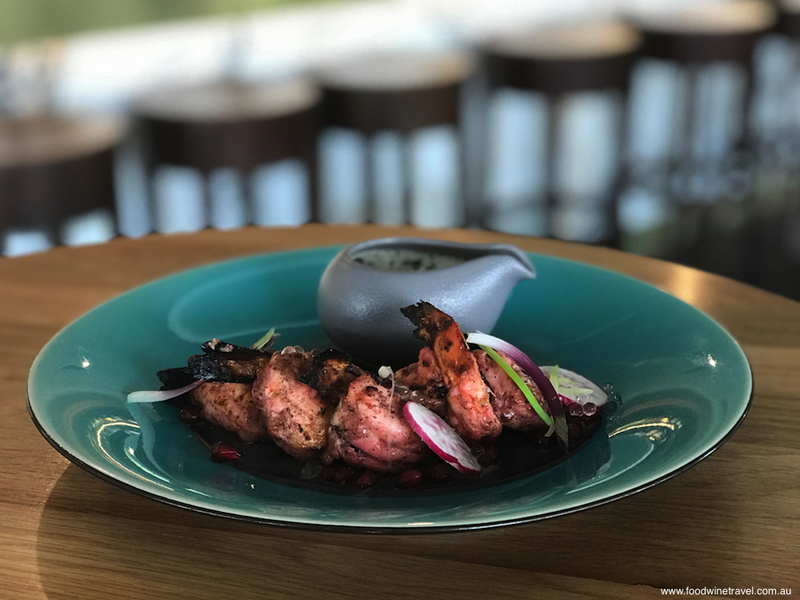 There aren’t many restaurants in Australia doing fine Indian food or taking this ages-old cuisine and giving it a modern spin, so it’s great to see a few that are turning traditional Indian cooking on its head. 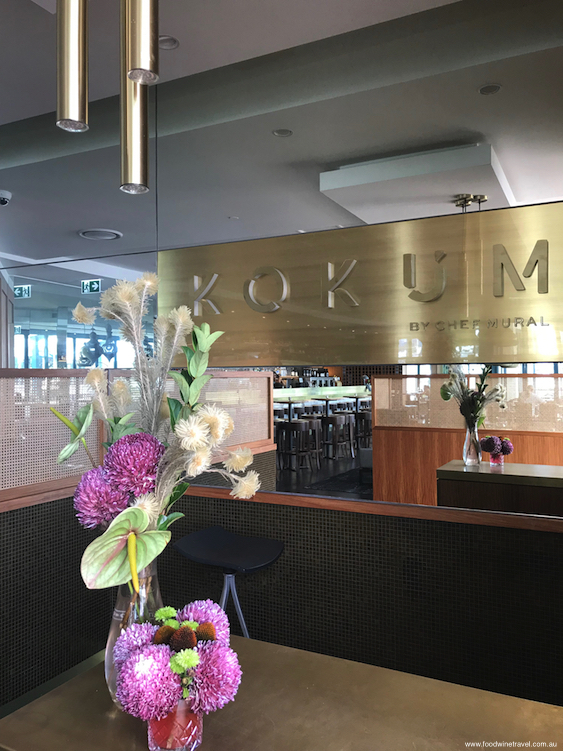 Kokum is a relatively new restaurant in the Palazzo Versace Hotel on the Gold Coast, and from the minute you step in the door, it’s apparent that this is something special. 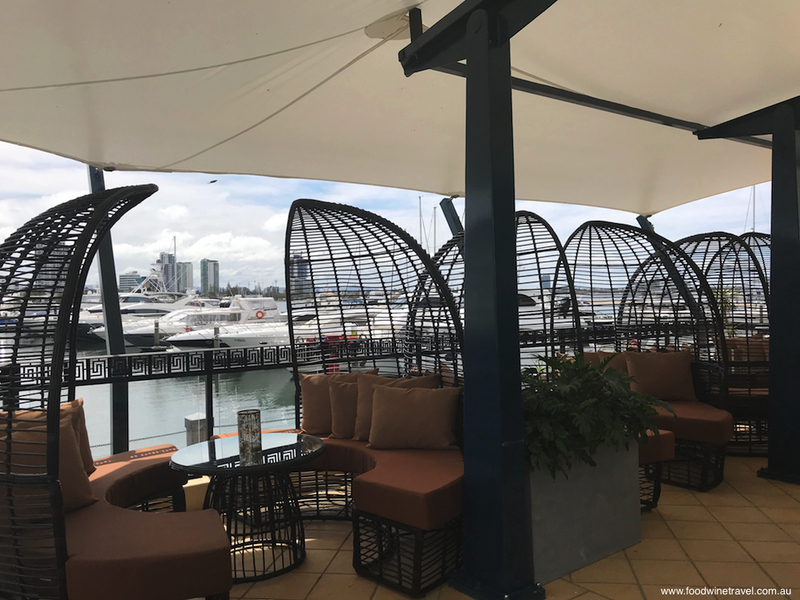 With floor to ceiling windows overlooking the marina, it is decked out beautifully with lovely floral arrangements, fine glassware and a glamorous bar for pre- and post-dinner drinks. The entrance to Kokum, in the Palazzo Versace Hotel. If you look closely, you’ll see that the sign reads “Kokum by Chef Mural” which means that it is in the same stable as Heritij in Brisbane, which also carries Mural’s name. Manjunath Mural is the highly regarded executive chef of Song of India, a Singapore restaurant with a modern take on Indian cooking. 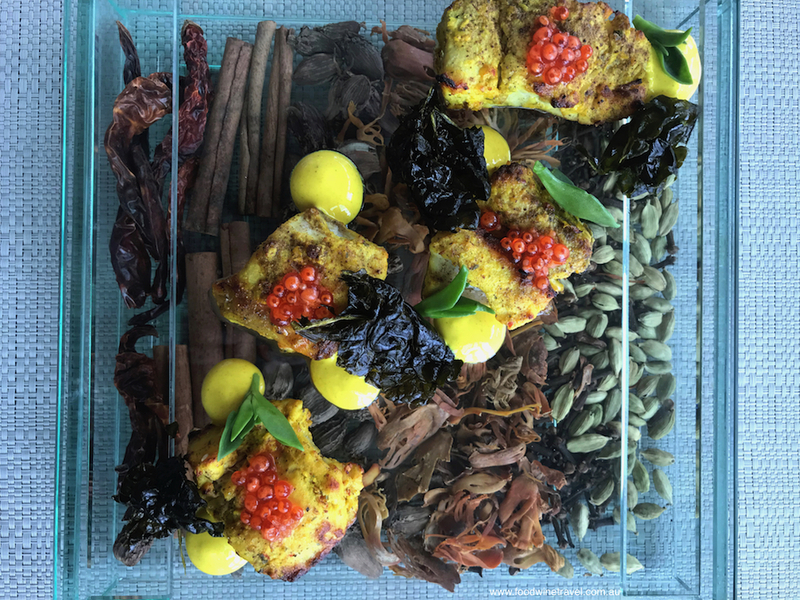 Chef Mural is the first Indian executive chef to score a Michelin star for an Indian restaurant in Southeast Asia. 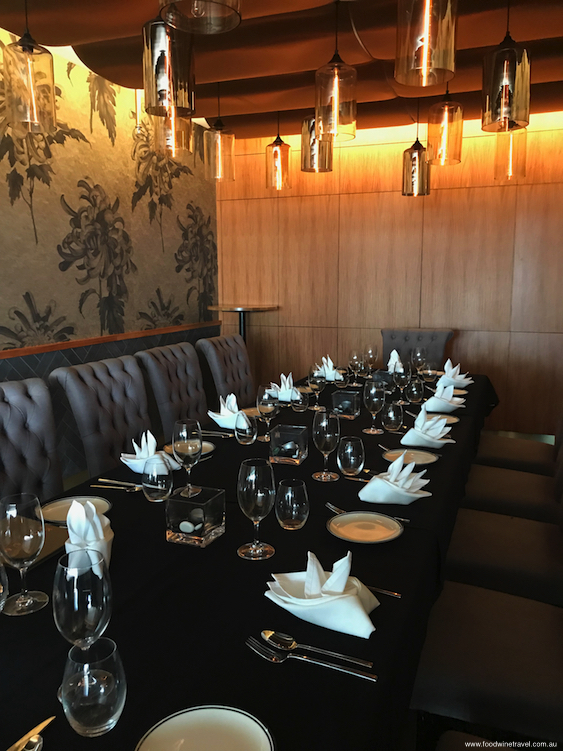 The 150-seat Kokum has indoor and outdoor dining, overlooking the marina. The executive chef of Kokum, Sabir Merchant, has known Mural for a decade or more. 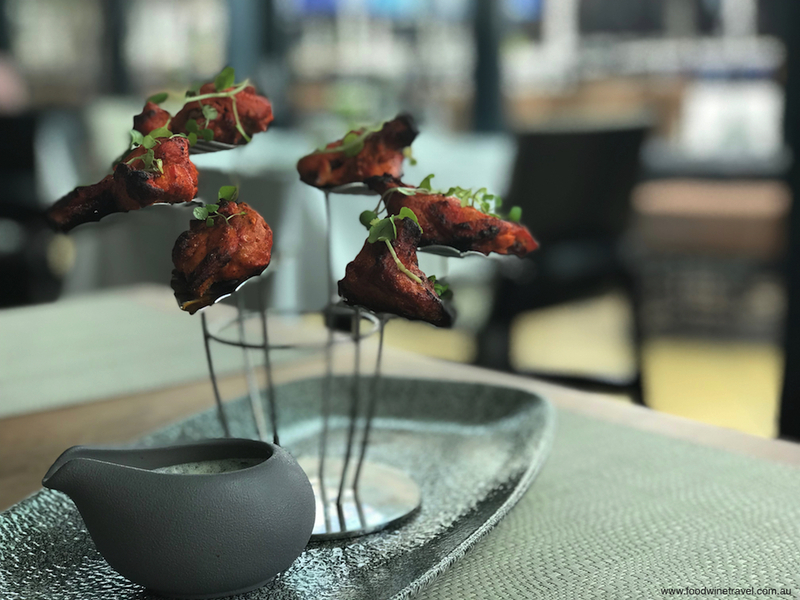 At one stage they studied together; now they bounce ideas off each other and try to come up with creations that take Indian cuisine to another level. Merchant, who started his career in the Taj hotel chain in Mumbai, came to Australia in 2005. He is passionate about cooking and spends seven days a week at the stove. Executive Chef Sabir Merchant is passionate about the hospitality industry. Merchant grew up in Ahmedabad, Gujarat, and it was the street food from here that inspired the first dish we tasted at Kokum. His Pani Puri is a magical re-interpretation of one of India’s most famous street foods. In India, the round, hollow puri (puff-pastry balls) would be fried and filled with spiced mashed potato, spiced water, and tamarind chutney. Merchant’s version separates the liquid from the Pani Puri, which is filled with potatoes, sprouts, pineapple, and Kakadu plum mixed with tamarind chutney. 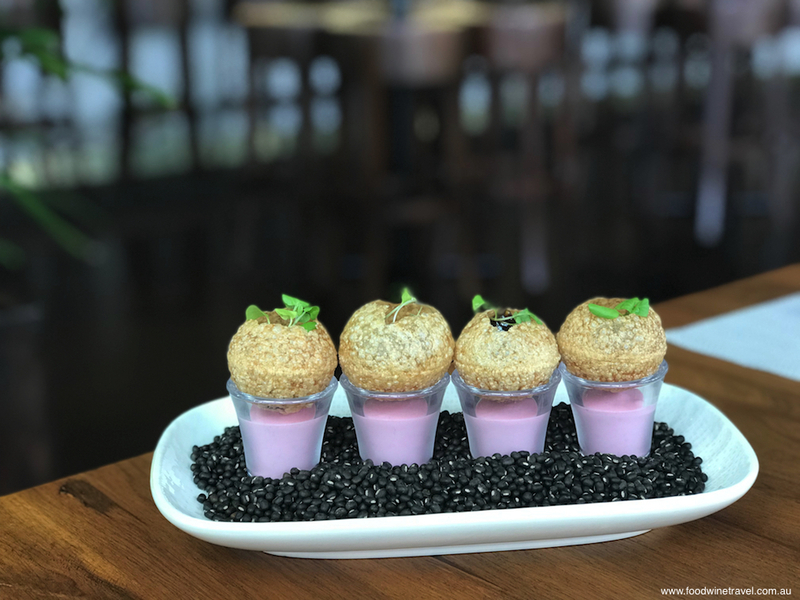 The semolina shells sit on top of little glasses of Sol Kadhi, a liquid with colour and sourness from the kokum berry that has given the restaurant its name. The berry is imported from India, where it grows in mountains in the north. 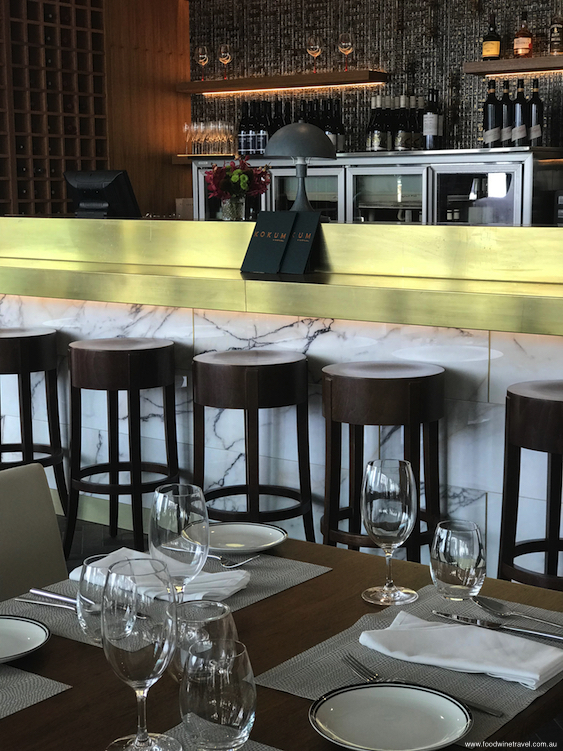 The classy fit-out is on a par with Kokum’s beautiful food. Barramundi topped with “caviar” made with sambal and Marsala wine. Pomegranate prawns: an explosion of flavour. The prawns are marinated in yoghurt and pomegranate, the latter dehydrated and turned into powder along with a few other spices. The grilled prawns are served on a squid ink and roast garlic emulsion. “Because of the sweetness and acidity of the emulsion, I’m trying to add a little bit more acidity by adding grapefruit pearls,” he said. The “pearls”, which he makes himself, are complemented by locally grown Apache baby shallots, baby radish and cumin foam. Pippali chicken marinated in lemon myrtle and cheese. We could barely discern the taste of lemon myrtle and cheddar, and when I mention that to the chef, he tells me he is still playing around with the dish. He originally put the lemon myrtle and cheese on top of the chicken but the cheese burnt too easily in the very hot tandoor oven. Now he blends the lemon myrtle and cheese, then marinates the chicken in the mix. But he may switch to a different technique yet – making a pocket in the chicken to fill with the lemon myrtle and cheese. Biryani Masahari (goat biryani): aromatic and colourful. 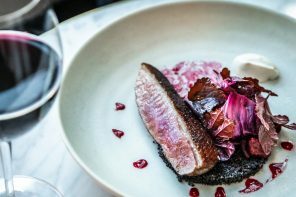 He dries beetroot and makes a powder from it, which is then added to the dish. 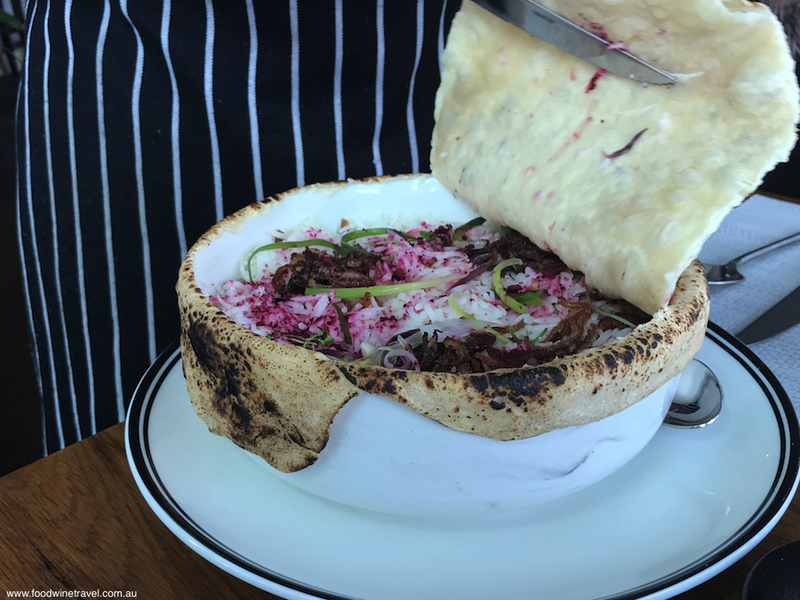 “It gives colour to the dish and a bit of flavour as well, and it goes really well with the goat.” Kokum serves three delicious types of naan: sesame, garlic, and spinach and cheese, perfect for scooping up the rice and meat. Chargrilled bugs on a bed of lemon coconut quinoa. Next is the dish I’m most looking forward to: Mangalorean Bugs, using fresh local bugs that are one of my favourite foods of all. Merchant marinates them in Champagne vinegar with coconut oil, paprika and a garam masala spice mix that he makes himself. 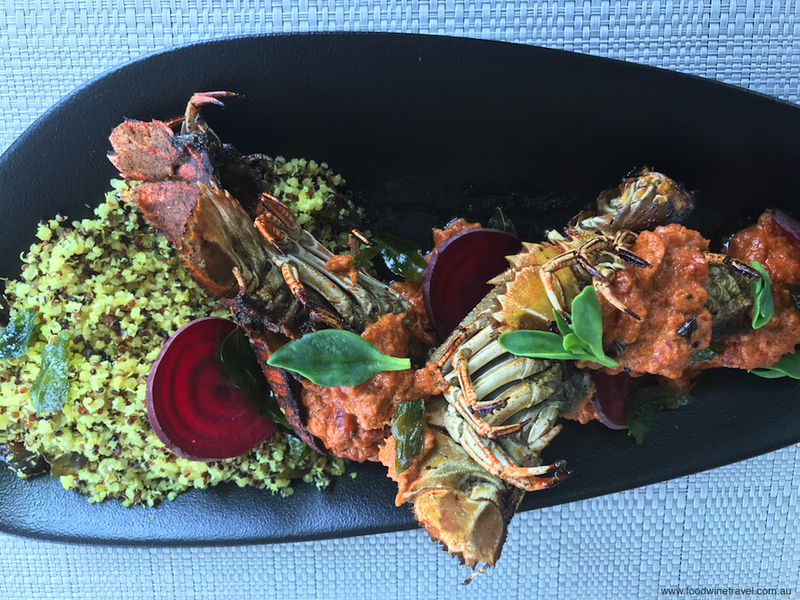 The bugs are chargrilled and served on a bed of lemon coconut quinoa, a lovely simple accompaniment. 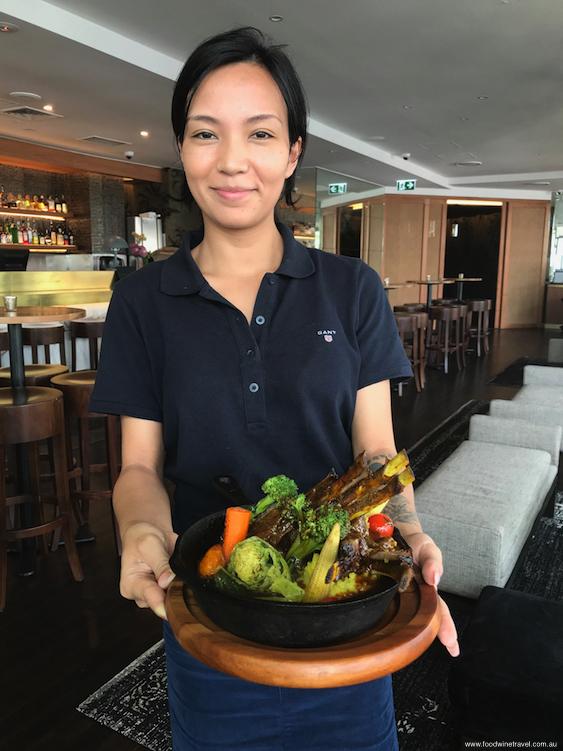 The final dish we sample is Flambé Lamb, a cast iron pot containing rack of lamb with a pistachio dressing, an outstanding potato and turmeric mash, heirloom tomatoes, edamame beans, and vegetables sautéed in mustard. Flambé Lamb, coming to the table. 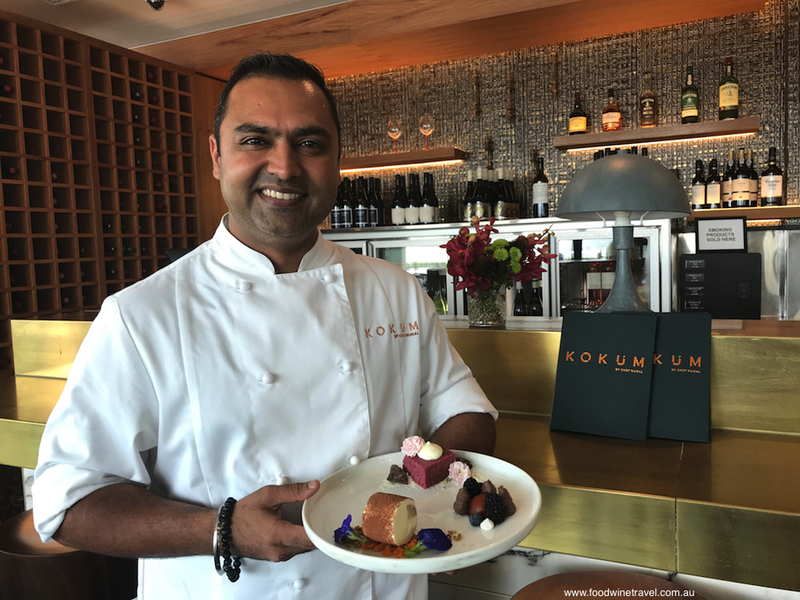 Kokum’s shared dessert plate takes the most popular Indian dessert, Gulab Jamun, and completely re-works it into a Gulab Jamun cheesecake log with crushed pistachio & rosewater praline. Locally grown butterfly pea flowers sit alongside. 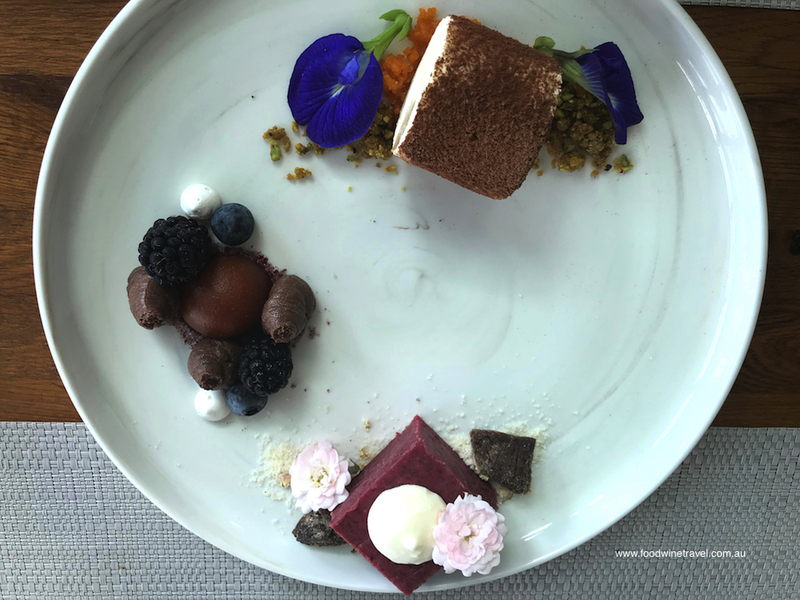 On the other side of the plate, there’s a square of beetroot cake topped with vanilla panna cotta, sitting on crushed almond and rose, with a couple of pretty little roses and some wedges of dried fig alongside. And then on another section of the plate, there is a dainty mound of chocolate mousse on plum sugar, with fresh berries and the tiniest of tiny cardamom meringues. So many goodies on the shared dessert plate. Merchant is bubbling over with ideas for Kokum. He wants to introduce slow-cooked meats like brisket, beef cheeks and pork belly. He is also keen to introduce fruits like dragonfruit and guava … “all these things that have never been used in Indian cuisine”. Towards the end of our meal, we got talking to the chef about the origin of his name. “My name (Sabir Merchant) literally translates as patient businessman. That’s pretty cool, isn’t it? I belong to a business family. We always had businesses. I’m the first in my family to work for someone else.” That may be so, but he’s certainly putting his stamp on this business. Christine and Maurie dined as guests of Kokum. Wednesday Wine Pick: Chandon 2013 Vintage Brut. Sparkling wine with an Aussie flavour.